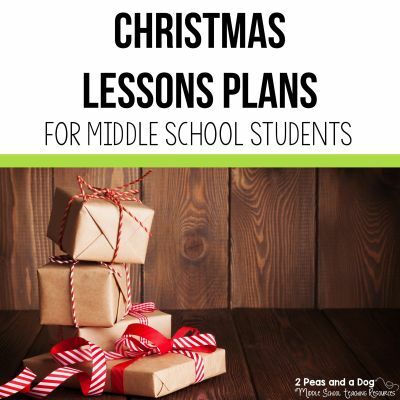 Christmas lesson plans that combine educational experiences with holiday themes make for a fun December season for your students. 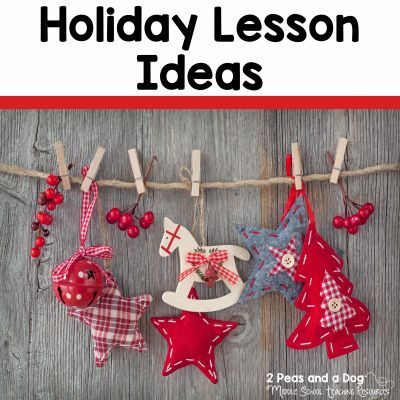 As the holidays approach, I like to use lessons that explore the season in a fun way. I find that shorter lessons and activities that spark students’ interests allow time for the various other activities that happen at this busy time of year. Below, I’ve outlined some of my favourite lessons to use with my students. 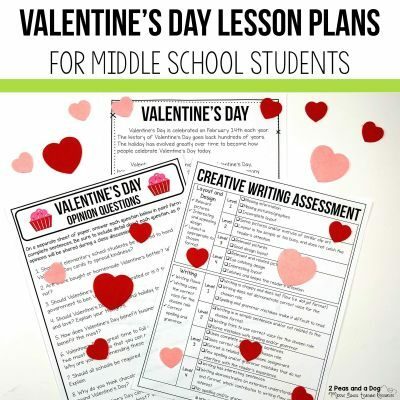 All of these assignments and activities include detailed lesson plans, printable sheets for your students, and assessment rubrics. Ideas for differentiation and options for going paperless are also included. 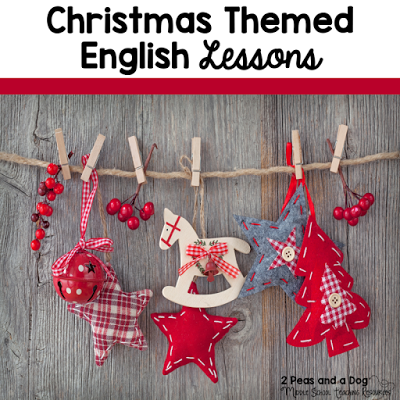 I know your class will enjoy these Christmas lesson plans. I use this lesson to compliment my History curriculum. In this lesson, students understand the importance and impact of the Christmas Truce of 1914. 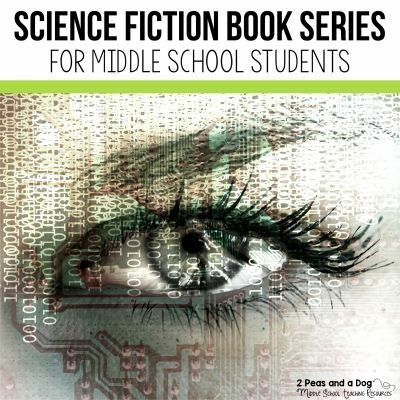 With the use of a media analysis of a modern day commercial, an oral presentation, and a written response, students demonstrate their knowledge in this multi-day mini unit. 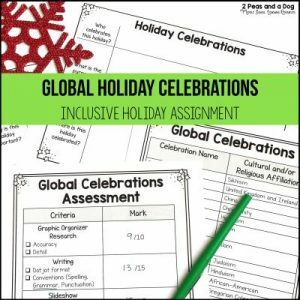 In this assignment, students research and explore a holiday they are not familiar with. With many of our classrooms, and our world in general, having such a diverse population, I think it’s important for students to learn about other cultures and traditions. 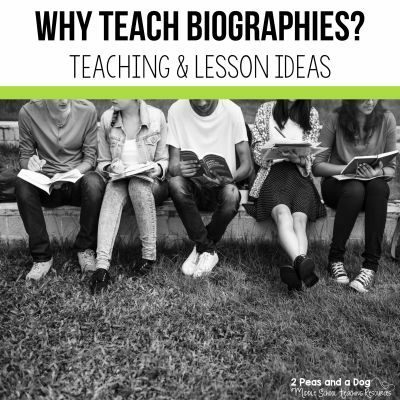 Included in this assignment are guiding questions to aid their research and opportunities to share new learning in an oral presentation format. I love sharing RAFT (Role, Audience, Format, Topic) assignments in my writer’s workshop. It gives students choice and is a fun opportunity for them to share their creativity and their writing skills. Choices of format include those both heavy in writing (i.e. a formal letter) and those more media based (i.e. an infographic). 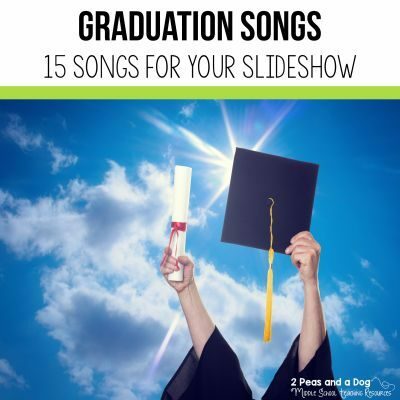 Given the various topics and choices, there is sure to be something for everyone in your class. Collaborative writing is a wonderful way for students to practice both their writing skills and reading skills. Students must read the lines of story created by their peers as they select what to write on the next line. 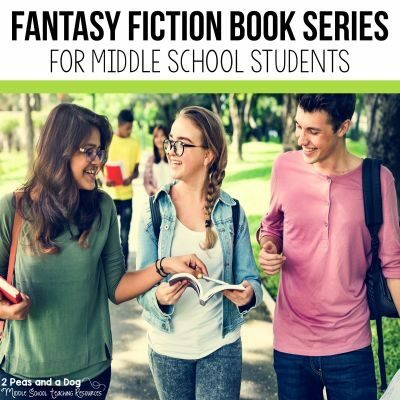 In doing so, each person has a final story created by the entire class, or their small group. 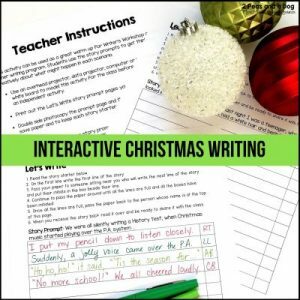 In this assignment, I’ve included fun Christmas themed story starters sure to engage your students in a fun extension to your writer’s workshop activities. In this assignment, students will complete a RAFT activity about various Winter activities. While writing in role, students will get to test their skills of directing their language towards a certain audience and explore multiple forms of writing. Usually, I’ll have students select one or two roles depending on time available. This assignment can be used as a follow up or an alternative to the Christmas Creative Writing assignment. Setting goals and having students reflect on themselves as a learner is an important life skill. 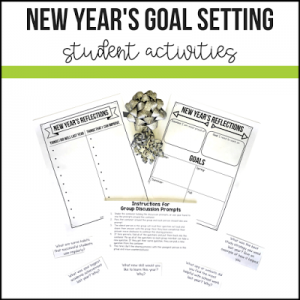 This activity is full of questions and discussion points to get students purposefully talking about their triumphs, successes, and areas of improvement in the hopes of identifying a personal goal and a plan of action. Any one of these activities will definitely engage your students in quality learning this holiday season. 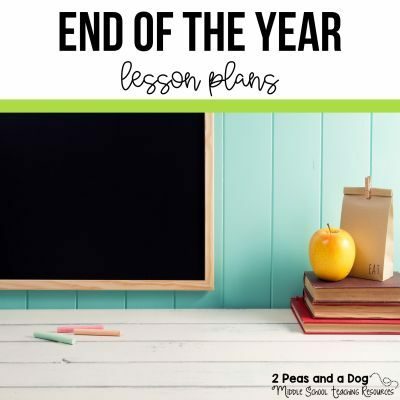 Grab these lessons and assignments in my Teachers Pay Teachers store. Happy Holidays!